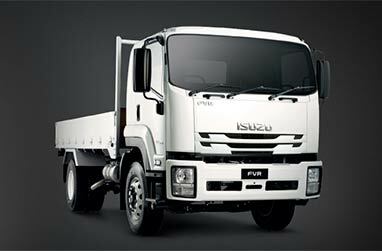 Isuzu's new F Series. The perfect mix of brains and brawn. 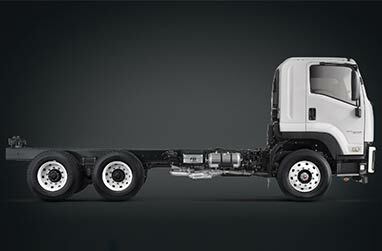 When you're choosing a new truck, you need to know that it's got the grunt to get the job done. And like all Isuzus, our new F Series has that in spades. But where the range really shines is in the brains department. From electronics to mechanical smarts, along with some creature comforts too, you won't find a more sophisticated mix. And that makes choosing an Isuzu a very clever call. Our 4HK1 four-cylinder diesel is just one of the clever options available in the F Series, at power ratings of either 210PS or 240PS. Both are super efficient, but their high torque two stage turbo chargers also mean they put out an impressive 726Nm and 765Nm of torque respectively. 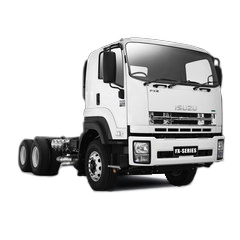 The 4HK1 is also the cleanest Japanese medium duty diesel engine available in Australia. How clean? Well, it would take more than 100 new F Series to produce the Particulate Matter (PM) emissions of just one pre-1996 truck! Another feature is our Idle-Stop System (ISS). By cutting the engine when you come to a halt, at traffic lights for example, ISS can save you up to 10% on fuel in heavy traffic situations. 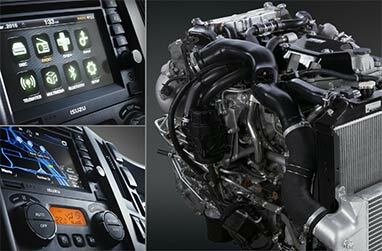 For applications where you can’t have the engine switch off, you can choose not to use ISS. Combined with our Torque Convertor Automated Manual Transmission (TC-AMT), ISS helps these engines deliver class-leading fuel economy. Sometimes you need serious power and that’s where our 6HK1 engine comes in. With six cylinders and an intercooled turbocharger, it delivers 191kW and offers a choice of manual or Allison auto transmissions to suit different applications. The 6HK1 is also equipped with Diesel Oxidation Catalyst (DOC). Unlike some emission management systems, DOC is ultra-reliable and requires no maintenance. And because there’s no selective catalytic reduction (SCR) or DPD, there’s no need for Ad Blue and no regeneration is required. This makes the 6HK1 a great choice for applications with high idle times, high PTO use, and frequent stops and starts, like council service and waste trucks. 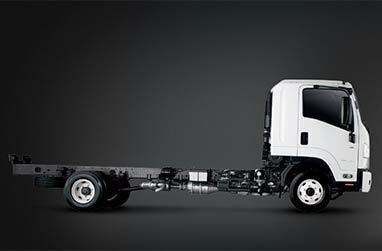 F series ‘maximum capacity’* range including standard 4x2, 6x2 lazy axle and 6x4 tandem axle configurations. All powered by the highly-regarded 6HK1-TCS (221kW / 300PS) turbo, intercooled diesel engine that delivers 981Nm of torque. 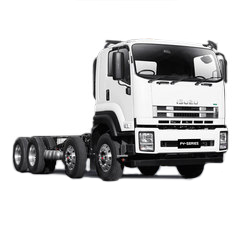 Available (depending on model) with Meritor drive axle and brake assembly with steel spring or Hendrickson airbag suspension and ZF 9-speed manual or Allison 3000 or 3500 series 6-speed automatic transmissions. 4x2 FVR is available with Meritor drive axle and brake assembly with spring or Hendrickson airbag suspension and 9-speed manual or 6-speed auto transmissions. 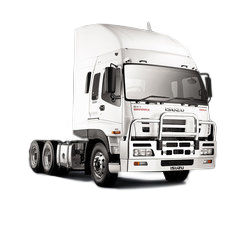 With three 4x2 wheelbases to suit a range of applications. 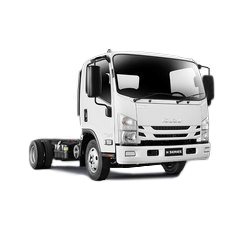 6x2 is available with Isuzu axles and steel springs, or with Meritor axle and brake assembly with airbag suspension. 6x4 is available with Meritor axle and brake assembly with steel springs or Hendrickson airbag suspension. Three 6x4 wheelbases are available to suit a range of applications. 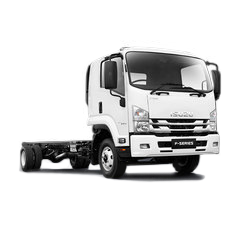 *This is not Isuzu’s maximum capacity range, only in F Series models. A wide selection of smarts. Your new F Series is brimming with brains. For starters, there’s DAVE, our Digital Audio Visual Equipment which includes AM, nFM and digital (DAB+) radio, CD/DVD, MP3, and Bluetooth music streaming. DAVE also comes with Sat-Nav as standard* (including free quarterly map updates for three years). All F Series trucks are telematics-ready too. Isuzu ‘Connect Plus’ telematics interconnects both truck and driver with your full support team, from the dispatcher to the service manager. To electronically, automatically and continuously share countless data, in real time, on virtually everything the truck and the driver do. From its brakes to his breaks. From how long it spent idling to where it spent the night. And in the process, makes all of you even better ‘drivers’, including the driver himself. There are also some seriously clever mechanical options, like our economical yet powerful new 4HK1 four-cylinder diesel engine which is available with our Idle-Stop System (ISS), that cuts the engine when you come to a halt, and a smooth, responsive Automated Manual Transmission with Torque Convertor (TC-AMT).